As we reported yesterday, Walmart Canada slipped up and accidentally posted product pages for several unannounced video games. The company was quick to remove the content, but not before several media outlets had circulated the story. One of the titles in the listings was Rage 2. The original Rage launched about eight years ago. A sequel did not seem likely thanks to somewhat negative reviews resulting from release day bugs, even though many found the game quite enjoyable after fixes. Shortly after yesterday's leak, Bethesda issued a tweet from the official Rage Twitter account joking with Walmart Canada that they had got the box art all wrong. Then earlier today, from Bethesda’s primary Twitter account the company posted a strange image. It’s a picture of Big Ben with pink paint smeared on the face (see below). Followers were quick to point out that the paint color exactly matched the color of the anarchy symbol on the Rage tweet from yesterday. 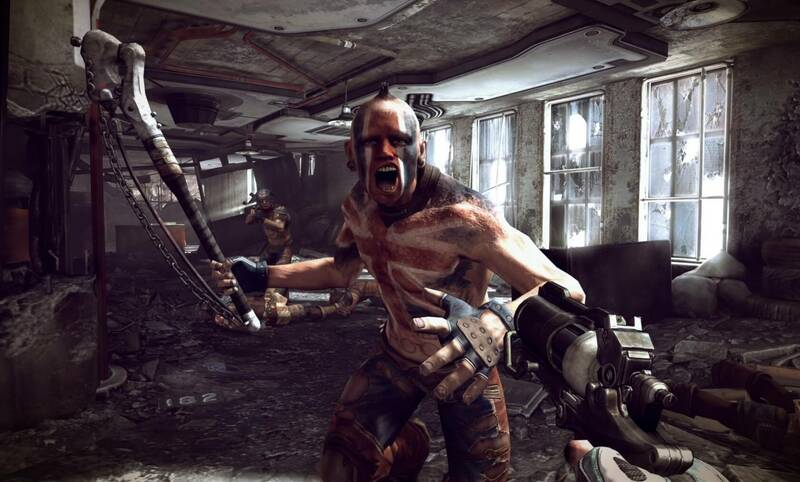 Since there were no words attached to the image, users began speculating that it was a wink and a nod to followers that Rage 2 really was in the works. Some users even went so far as to point out that the hands on the clock read 5:14 and that this somehow indicates a possible announcement coming on May 14, which happens to be Monday. This is all pure speculation of course, but video game developers are almost notorious for dropping subtle hints and surprises. In fact, before video games came along, Easter eggs were just something you colored every spring. The idea that the Big Ben image is a hint pointing at Rage 2 seems pretty logical. Bethesda would not just post it for no reason. If it were of no significance, why throw it out there at all? However, saying that the time of 5:14 means an announcement coming on Monday is a bit of a stretch for me. It seems more likely that Bethesda would just leave it out there for fans to wonder about until E3, but I guess it is plausible that a teaser could come before then. We'll have to wait and see.